The Coase theorem applies to situations involving economic externalities, i.e. activities that produce harmful effects. It states that bargaining will lead to an economically efficient outcome, regardless of the initial allocation of property rights, when three conditions are met: (1) when property rights are well-defined, (2) when trade in the externality is not prohibited by law, and (3) when the costs of trading are low relative to the value of the right being traded. 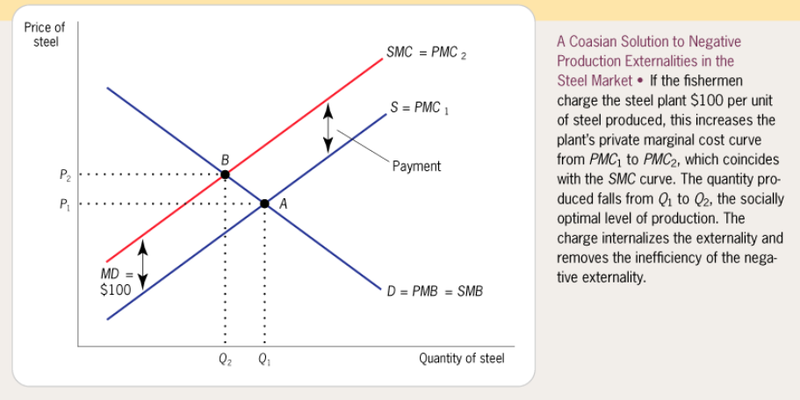 Traditionally, economists and lawyers have used the Coase theorem to study such prosaic problems as cattle trespass and pollution. But could this theorem apply to moral externalities or other intangible types of harmful effects, such as late-term abortions? By way of example, according to this report in The Washington Post: “A Maryland abortion clinic, one of only a few that provides late-term abortions to women in the United States, plans to close its doors and is under contract to be purchased by an antiabortion group that has worked for many years to shut it down, according to an official with the coalition that has plans to buy it. If the sale goes through this fall, the new owners of the Germantown clinic will soon be owned by the Maryland Coalition for Life, a grass-roots organization that has staged regular protests at the clinic and, in 2011, opened up a crisis pregnancy center across the parking lot to counsel women against choosing abortion.” Is this not an example of the Coase theorem in action?